I made a resolution last night: I resolved that henceforth I will post no more than two premieres a day, and only one per day if it’s a full album stream. During the week just ended, I posted 14 premieres, and two of those were full albums. I might not care about the volume if I could be content to write little more than, “Here — listen to this!”, and then just provide the music stream. But where’s the fun in that? Besides the fun, I feel a compulsion to include reviews with the premieres, even if only the bands or labels might pay attention to what I write. Given that mindset, working on a big flood of premieres tends to constrict my ability to do anything else — such as compile round-ups like this one. Full disclosure: I’ve made resolutions like this one before, and couldn’t stick to them. Did I mention that we’ll have another premiere tomorrow? It’s really good! Anyway, as you can see, this is a two-part round-up. I decided to collect some older arrivals in this first part, organized alphabetically. My colleague DGR suggested all of them for a newsy post that would have been timely if I’d been able to get it done when he made the suggestions. Maybe some of these will still be news to a few of you despite the delay. They also involve higher profile bands; I’ve got some lesser-known groups for Part 2. A long nine years after Montreal’s Augury released Fragmentary Evidence, they are returning with a new album — Illusive Golden Age — which will be released on March 30 by The Artisan Era. The line-up on the last album has remained intact for the new one, save for the addition of drummer Antoine Baril. The song below, “Mater Dolorosa“, is the first single from the album. As you might expect, it’s a technical thrill ride, loaded with twists and turns, swoops and dives, and utterly ferocious high-low vocals (with some clean wailing in the mix, too). It’s guaranteed to spin your head all the way around, like the possessed child in The Exorcist, except it will spin much faster, fast enough to rocket your eyeballs out of their sockets. 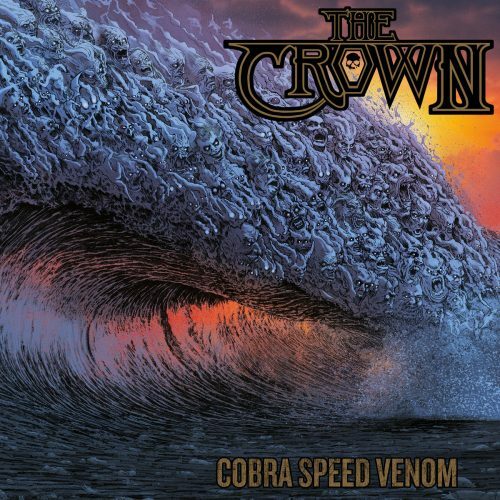 On March 16th Metal Blade will release Cobra Speed Venom, the tenth album by Swedish stalwarts The Crown. As best I can tell, the line-up on the new album is the same as on the last one, 2015’s Death Is Not Dead, except for new drummer Henrik Axelsson. The cover art by Christian Sloan Hall deserves a round of applause, whatever else the album might deserve. But I do feel like clapping for the first two singles that have been released so far. The most recent of those, the title track, appeared last week through a music video. Part imperialistic march, part high-speed thrashing rampage, part technically-oriented fireworks display, part balls-to-the-walls rocker, it’s a song of many parts — but all of them integrated into an absolutely electrifying experience. The video is also shitloads of fun to watch. Check out the video below, as well as the album’s first single, “Iron Crown“. Drudkh’s new album is named Їм часто сниться капіж (which translates to ‘They Often See Dreams About the Spring’), and it will be released by Season of Mist on March 9th. The first advance track was “Nakryta Neba Burym Dakhom…“, which includes lyrics inspired by the Ukrainian 20th century poet Bohdan Ihor Antonych, and I was immediately carried away by its surging, sweeping melodies, by its booming rhythms, by the fiery passion that burns in the music like a wildfire, and by the more more somber and subdued measures as well. Now we have another advance track, “U Dakhiv Irzhavim Kolossyu“. This one is based on a poem by Ukrainian writer Maik Yohansen, who was murdered by the Soviets in 1937, and it is no less captivating than “Nakryta Neba Burym Dakhom…“ It’s a very dark song to be sure, one that mixes feelings of rage and pain, and its intensity is unrelenting. The high, trilling melodic riff that runs through the entire length of the song, with just a few variations, had buried itself in my head by the time the track ended. The word “epic” comes to mind. 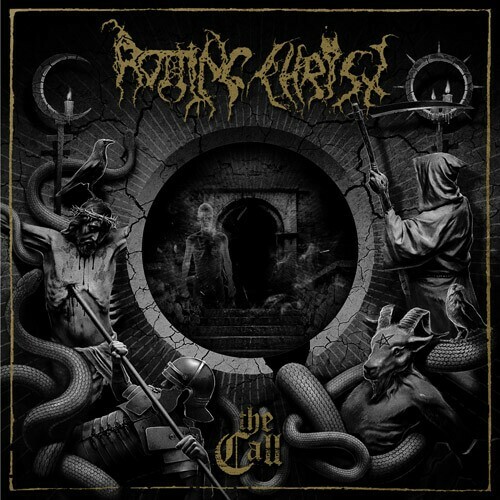 Rotting Christ are celebrating their 30th anniversary this year in a variety of ways. In addition to releasing (via Season of Mist) a massive, two-disc greatest hits collection entitled Their Greatest Spells in March, Peaceville has also just released a 7″ vinyl EP named The Call. The title track is a new song recorded specially for this release, and the second song is a live recording of “The Sign Of Evil Existence”, which features Behemoth’s Nergal and Varathron’s Necroabyssus on guest vocals. “The Call” was presented last week through a lyric video. What a grim, ominous, gloom-shrouded song this is, but there is an air of terrible majesty about it as well, and the exotic melodies give it a perilous, occult resonance. Pretty much every track included in this roundup slays. I’m super looking forward to the new Augury, Drudkh, and The Crown albums. 2018 is shaping up to be one hell of a year for metal it seems. Kalmankantaja released a new 2 track EP called Tuulikannel which can streamed over on their bandcamp page. Metal Hammer premiered a new Slugdge track called War Squids a few days ago, it’s just as good as the first track they released. 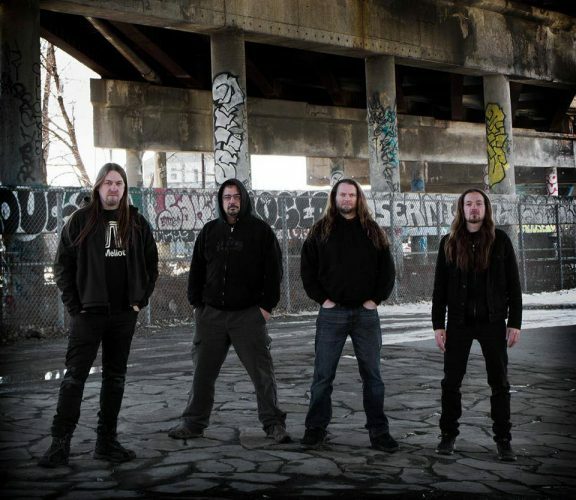 Skeletal Remains have released the first single, Seismic Abyss, from their upcoming album Devouring Mortality, which will be released by Dark Descent in North America and Century Media elsewhere on April 13. It’s streaming on the Dark Descent Records Bandcamp page. Winterfylleth released the first single titled Elder Mother from their new album The Hallowing of Heirdom which is due for release on April 6. It’ll be a completely acoustic album, which is an interesting direction for the band to take. If it’s anything like the instrumental tracks on their previous albums it’ll definitely be worth a listen. Well, I did manage to include one of those in Part 2 (Skeletal Remains), but wasn’t aware of the others. I shall get acquainted quickly… you might see one or two more of those tomorrow. Thanks a bunch for the tips. You’re more than welcome. I’ve been a big fan of NCS for years so I’m happy to help out with some tips when I can. I have one last tip for you today: I just stumbled upon a new Agrona single called Storms End. I know you covered them in a roundup last month so I thought I’d give you a heads up. Well, thanks again! I didn’t know about the new Agrona track… which is going to further complicate tomorrow’s post. Might have to make it a two-parter, as I did today. 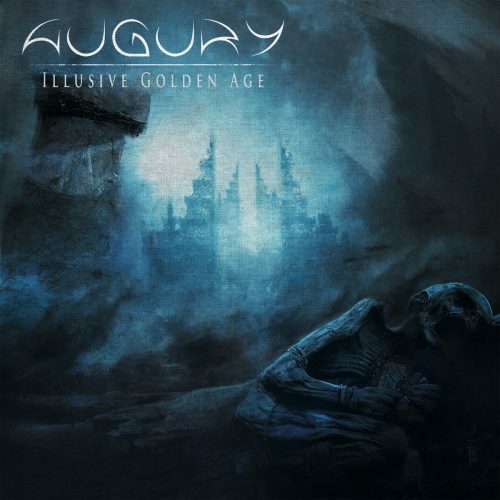 Great Jams!That Augury is banging! 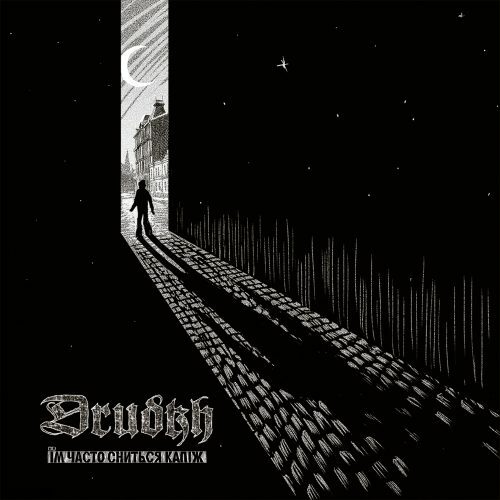 How can anyone not like Drudkh? Such a great band! Looking forward to both of those releases.